Question 3: I hear that many pastors and elders of the religious community say that who you believe in is a man and not Jesus Christ. Yet you witness that this man is the returned Lord Jesus, that is, Almighty God appearing at work. Do you know that the Communist Party has long condemned Christianity and Catholicism as cults? And you dare to witness that the Lord Jesus has returned, that is Almighty God; aren’t you bucking the head wind? How can the Communist Party spare you? The Communist Party even dares to designate Christianity and Catholicism as cults, and the Bible as a cultist book. This is an open fact. Don’t you know that? If the CCP dares to condemn and deny the world’s orthodox religions, why couldn’t it condemn Almighty God’s appearance and work? When the CCP could designate the Bible as a cultist book, why would it spare The Word Appears in the Flesh? The public security agencies have confiscated many copies of this book. Many people are studying it. I just don’t understand it. Why do you people have to believe in Almighty God? Why insist on witnessing that Almighty God is Christ of the last days? We understand everything about His family background. He is an ordinary person, just like Jesus that Christianity believes in. Jesus, the son of a carpenter, had parents and siblings. He was just an ordinary man. Yet the entire Christendom worships Jesus like God. Almighty God that you people believe in is also a man like Jesus. You insist on saying that He is God, this is quite inexplicable. You endured so much persecution and pain for believing in an ordinary man. Is it worth it? I hear that there are many people who gave up their families and careers to follow Almighty God. I doubt what you can ultimately get from believing in God like this? What is the basis for you to believe that He is God? Answer: The CCP is an atheist revolutionary party that doesn’t even recognize God in heaven. How could it recognize the incarnate God? So it is not surprising that the Communist Party feels so strange about our faith in the incarnate Christ. There are many people in religions who only recognize God in heaven, but not the incarnate Christ. So they are eliminated by the work of God. For thousands of years, God has carried out three stages of work to save mankind, God said a lot of words in every stage of His work. Mankind only came to accept God's work because of God's utterances. To the last days, the gospel of the Lord Jesus has spread to the ends of the earth. Increasingly more people believe in God, at least over two billion all together. Could you not have seen this fact? Churches are seen everywhere in democratic countries. The Christian, Catholic, and Eastern Orthodox churches all believe in the Lord Jesus Christ. You should know about this. The Lord Jesus Christ is the incarnate God. For two thousand years, countless people have followed and witnessed for the Lord Jesus. The Lord Jesus was an ordinary person in semblance. 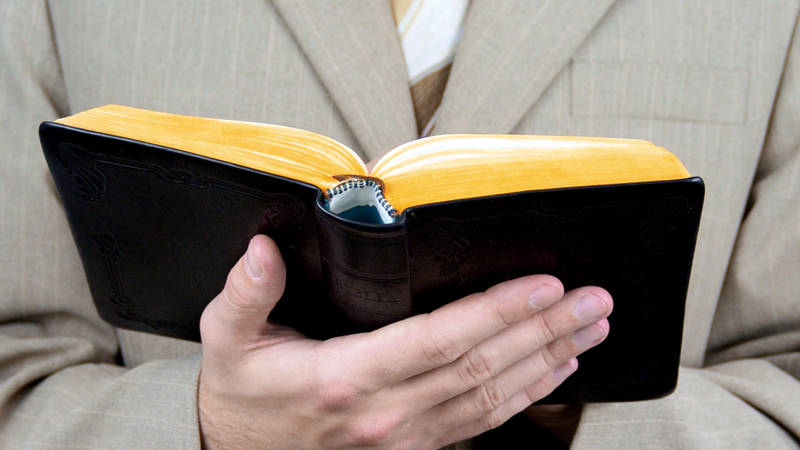 Why do they firmly believe that the Lord Jesus is the Savior, the appearance of God at work? 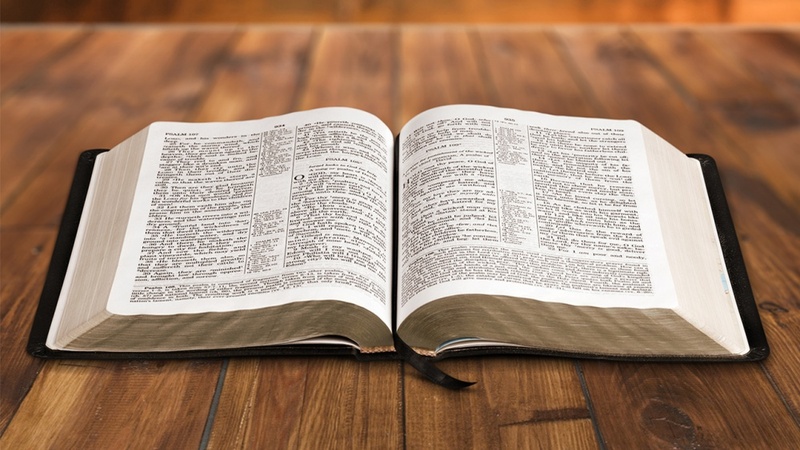 If you want to know what is the appearance of God and what is Christ, you have to read the Bible to see how the Lord Jesus preached and did His work and how the Holy Spirit witnessed for the Lord Jesus. Then you will know why people believe in the Lord Jesus. Incarnation itself is a great mystery. Christ of the last days, Almighty God, who appears and does His work has expressed all the truths for the cleansing and salvation of man and unveiled all the mysteries in the Bible. If you don’t believe in God, don’t read Almighty God's word, how could you know the mysteries about God? Do you want to understand what incarnation is? If so, let us communicate about the word of Almighty God to see how Almighty God has spoken. Almighty God says, “The meaning of incarnation is that God appears in the flesh, and He comes to work among man of His creation in the image of a flesh. So, for God to be incarnated, He must first be flesh, flesh with normal humanity; this, at the very least, must be true. In fact, the implication of God’s incarnation is that God lives and works in the flesh, God in His very essence becomes flesh, becomes a man” (“The Essence of the Flesh Inhabited by God” in The Word Appears in the Flesh). “God become flesh is called Christ, and so the Christ that can give people the truth is called God. There is nothing excessive about this, for He possesses the substance of God, and possesses God's disposition, and wisdom in His work, that are unattainable by man. Those who call themselves Christ, yet cannot do the work of God, are frauds. Christ is not merely the manifestation of God on earth, but instead, the particular flesh assumed by God as He carries out and completes His work among man. This flesh is not one that can be replaced by just any man, but one that can adequately bear God's work on earth, and express the disposition of God, and well represent God, and provide man with life” (“Only Christ of the Last Days Can Give Man the Way of Eternal Life” in The Word Appears in the Flesh). “He who is God's incarnation shall hold the substance of God, and He who is God's incarnation shall hold the expression of God. Since God becomes flesh, He shall bring forth the work He must do, and since God becomes flesh, He shall express what He is, and shall be able to bring the truth to man, bestow life upon man, and show man the way” (Preface to The Word Appears in the Flesh). In these passages, Almighty God so clearly revealed the mysteries of incarnation. 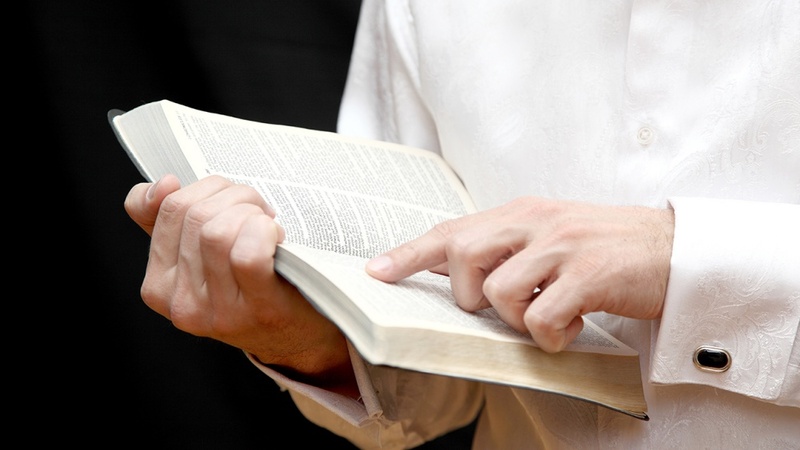 When we hear the word of God, we immediately understand what incarnation is all about. The truth can only be expressed by the incarnate God for the cleansing and salvation of mankind. Isn’t it the appearance and work of God? Are the world’s famous and great people able to express the truth? Aside from the incarnate God, no one can express the truth. Therefore the One who can express all the truths for the cleansing and salvation of mankind is naturally Christ and the appearance of God. This is beyond any doubt. 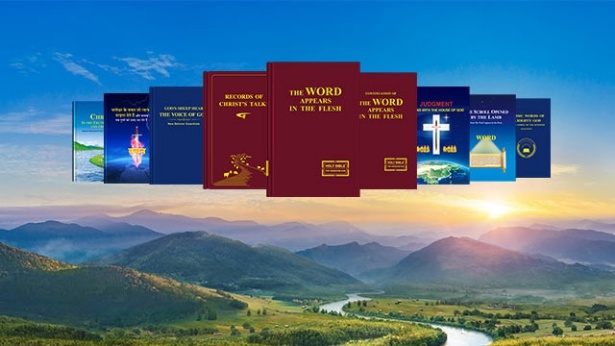 Our belief in Almighty God is exactly because Almighty God has expressed all the truths for the cleansing and salvation of mankind, and done the judgment work in the last days. So we believe that He is the practical God incarnate, that is the Lord Jesus who has returned in the flesh in the last days. This is the basis for our belief in Almighty God. It is not surprising that some pastors and elders of the religious community resist and condemn Almighty God because most people only believe in the God in heaven. Only a few people can accept and know the incarnate God. Two thousand years ago, when the Lord Jesus appeared to work, didn't the chief priests, scribes and the Pharisees of Judaism resist and condemn the Lord Jesus? They even surrendered the Lord Jesus to the Roman government to be nailed on the cross. When God twice appeared in the flesh to work, He has expressed many truths and done work for the redemption and salvation of mankind. Although most people recognize the existence of God, they do not know about the incarnation of God. For this great mystery of incarnation, they have never been able to fathom. Therefore, each time God appeared to work in the flesh, many people were revealed and eliminated. In the last days, the incarnate Almighty God has judged and revealed people by expressing the truth. Upon hearing the many truths expressed by the incarnate God, those who love the truth heard the voice of God, recognized that it was the appearance and work of God, accepted and obeyed Christ. For those who do not love the truth, although they recognized the authority and power of God's word, they had notions, they even condemned and resisted because the incarnate God appeared to be an ordinary person. Such people were revealed and eliminated as they were those who detested the truth. The people that God works to save are those who love and accept the truth. The people that God reveals and eliminates are those who loathe and hate the truth. This shows the wisdom and omnipotence of God! God's disposition lies in the way of His work. The incarnation of God is indeed a great mystery that is not easy to penetrate! Many people have stumbled over this. This is how I accept and view it. Previous：Question 2: I haven’t seen God, haven’t seen how God works and how He dominates the world. It is hard for me to recognize God and accept God. From my study of religious beliefs for so many years, I think that religious belief is merely a spiritual sustenance and a means to fill the spiritual vacuity of mankind. Didn't all those who believed in God finally die? No one saw which person went to heaven or hell. I see all religious beliefs as very vague and unrealistic. With scientific development and human progress, religious beliefs will likely be abandoned and eliminated. We still need to believe in science. Only science is the truth and reality, which no one can deny. Although science has not denied God, it has not witnessed the existence of God either. If science can really determine that there is God and witness that God dominates everything, then we will believe in God too. We communists just believe in science. Only by believing in science and developing science will human societies continue to progress. Science can solve many real problems of human societies. What can believing in God bring to people? Other than some temporary spiritual comfort, what else is it good for? It does not solve any practical problems. So, believing in science is more realistic than believing in God, much more realistic. We have to believe in science. Next：Question 4: Although the One you believe in is Almighty God, what you read is the word of Almighty God, and how you pray is in the name of Almighty God, according to what we know, your Church of Almighty God was founded by a man whom you obey in everything. According to your testimonies, this man is a priest, a person used by God in charge of all administrative matters. I am puzzled by it. Who was the one that founded The Church of Almighty God? How was it begotten? Can you clarify it?